We are thrilled to see students from our original cohort begin to share what they learned last summer and starting new conversations about drugs, drug policy and the War on Drugs within their home communities. 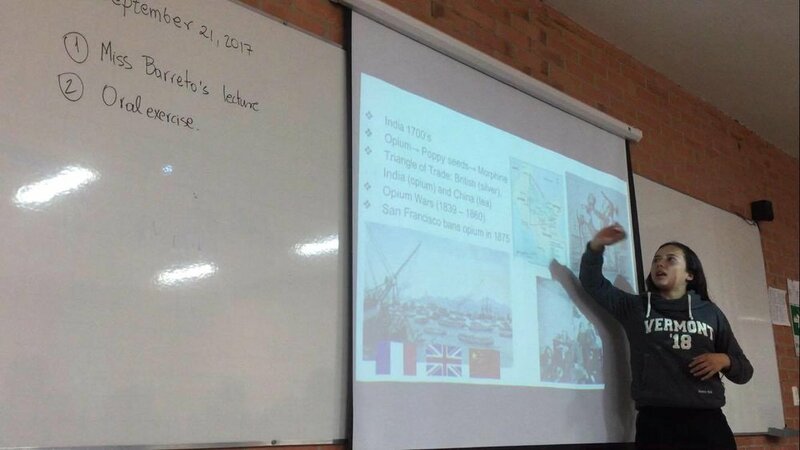 For example, this past week Manuela (Catalyst '17) delivered a lecture about the history of drug policy at her high school in Bogotá. Keep up the great work!